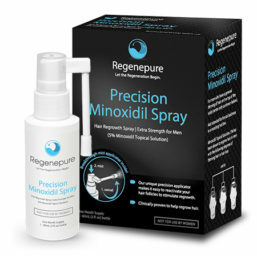 Does my hair have to be dry when I apply RegenePure Precision? For best results, you should spray RegenePure Precision onto dry hair. If you’re pressed for time after your shower, remove excess water from your hair with a towel before using the formula.